Rebel Visionaire: #Femme: Some 80s's 70s. We're doing 80s in a 70s laid back kind of way. 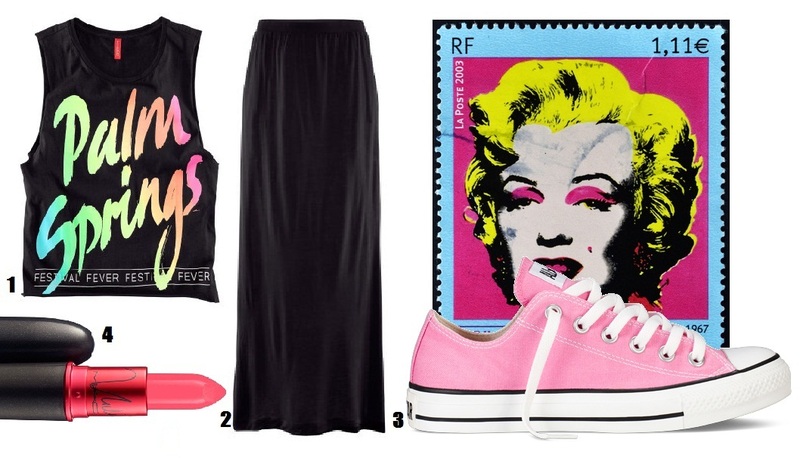 Long skirt reminding as the hip YSL woman, with a bold tank top in 80s pop colors, a pair of converse and some viva glam for a good cause lip and here you go! !